Fall has officially arrived and with it come new opportunities to get the word out about your business. Most companies are already planning Thanksgiving, Black Friday and Holiday promotions, making this the perfect time to prepare for the upcoming shopping season. 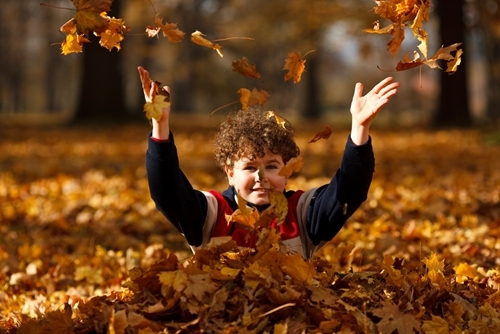 Autumn is characterized by crisp weather, beautiful turning leaves and a variety of holidays and sporting events. Match your marketing campaigns and business gifts to the colors and themes of the season to attract customers. Here are a few promotional product ideas to inspire you and make customers fall for your business all over again. As temperatures start to cool, customers will be reaching for light sweaters and Jackets. You can emblazon your logo on a classic Hoodie or stylish wind jacket. Since imprinted apparel is one of the best loved promotional products, customers will enjoy showing off your branded gift. It pays off to invest in quality items that your customers can wear next year too. Who doesn’t love a hot beverage on a cold fall afternoon? Classic staples like our 10 Oz. Personalized Aztec Spooner Mug are always welcomed by customers. Great for home and office use, you can be sure your brand will be getting exposure through the season and beyond. Fleece blankets like our Promotional Econo Blanket are classic giveaways that will remind customers of your brand while they’re snuggling on the couch or at the stadium while watching the big game. This makes a perfect gift for businesses in the travel and sporting goods industries. One of the best parts of fall are the beginnings of the football and hockey seasons. Make sure die-hard fans have all they need to cheer for the home team with fun promos like our Custom Cowbell. No matter what you choose to give customers this season, remember to order early and plan any events well in advance. As the holiday shopping season approaches, both customers and vendors’ schedules are bound to fill up fast. For more information on the products mentioned above and other great fall promos visit us at Myron.com.